Specialized Orthopedic Solutions, Inc. is co-owned by CEO Jeffrey H. VonderHaar and President Elizabeth Bress-VonderHaar. 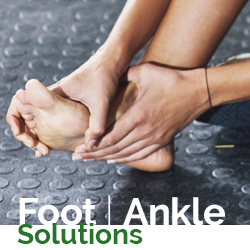 Their staff together bring over 35 years of experience in the Orthotics and Prosthetics industry. SOS Medical employs a full-time ABC Certified Prosthetist Orthotist (CPO), who oversees the manufacturing and fitting of custom orthotics and prosthetics. While this RFP won’t include custom products SOS Medical offers the expertise and experience of both a Board Certified Prosthetist and an Orthotist. This sets us apart from competitors who are not able to offer this level of proficiency. 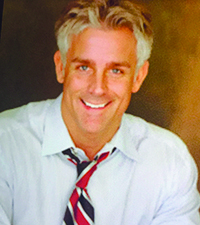 Prior to Specialized Orthopedic Solutions, Inc., Jeffrey served as a Sales Manager for OXYmed and as the Orthopedic Sales Manager for Team Post-Op Inc., where he accomplished unprecedented growth and success within those companies. However, after working for various companies in the Medical Industry where profits and margins took priority over patient care and employee loyalty, Jeffrey set out to make a difference. 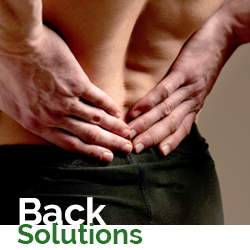 In 2003, with a vision of providing exceptional patient care, quality medical products, and to be truly a ‘one stop solution’ for patients and their rehabilitative needs – Jeffrey founded Specialized Orthopedic Solutions, Inc.,(dba: SOS Medical). Since 2003, SOS Medical has blossomed into a thriving durable medical equipment (DME) distributorship, O&P Facility and Physical Therapy Clinic where they now care for hundreds of patients monthly. The vast knowledge gained over years in the medical industry, coupled with his drive and tenacity, all contributed to the success of SOS Medical today. Jeffrey is also the Co-Founder of the non-profit organization Sending out an SOS, Inc. (www.sendingoutansos.org) — Sending Out an SOS assists low income amputees in finding qualified care while offering financial and educational support. Jeffrey is also on the Board of Directors of Ayuda (www.ayuda.org): a non-profit organization assisting Orphaned Children throughout Latin America with basic needs and provisions. Additionally, Jeffrey is a proud supporter of Centro De Miembros Artificiales, a non-profit, prosthesis center, based in La Paz, Bolivia and proud father of two wonderful boys. Elizabeth VonderHaar is President of Specialized Orthopedic Solutions, Inc. Elizabeth is a graduate of UPSA in Santa Cruz, Bolivia obtaining degrees in Business Administration and English with a Masters in Marketing. As a Managing Partner, Elizabeth is responsible for overseeing new business/product development. Since her arrival in 2008, growth has increased by an average of 42% annually. Elizabeth began her career with Specialized Orthopedic Solutions, Inc. as a Territory Manager and quickly proved to be a Top Producer and Leader while exceeding sales expectations year after year. In her years prior to SOS Medical and following graduation; Elizabeth moved to New York City to work as a Production Manager with Pachamama Films. Soon thereafter, she found herself pursuing a career of acting and modeling in addition to her being crown Mrs. Bolivia International 2004. Eventually, her acting career brought her to Los Angeles where she would experience yet another career change that would take on a more meaningful new direction. In 2006, Elizabeth began a career in the medical field with Team Surgical working as a Sales Representative in the Surgical/Capital Equipment Division. She quickly ‘cut her teeth’ in the Medical Field and developed strong and lasting relationships with the Orthopedic Surgeons in her respected Territory. That experience, coupled with her personal experiences, vast education, tenacious work ethic and the strong desire to succeed, only made her the ideal Managing Partner for Jeffrey VonderHaar and Specialized Orthopedic Solutions, later in her career. Elizabeth is a Co-Founder of the non-profit organization Sending out an SOS.org (www.sendingoutansos.org); she is also on the Board of Directors of the non-profit organization Ayuda (www.ayuda.org) helping orphan children in Latin America and a key supporter of Centro De Miembros Artificiales-Bolivia (www.rotaryboliviaprosthetics.org) helping amputees to get back on their feet. It is relative to point out that Elizabeth was born with a ‘Congenital Physical Abnormality’ of her lower right leg; subsequently, she had 7 additional unsuccessful surgeries to correct the aliment that resulted in an amputation just below her right knee at age 11. Though what may seem as a deterrent for success or an obstacle in the pursuit of dreams has only fueled Elizabeth’s desire and need to assist others with similar predicaments. Elizabeth has been the motivating factor and key initiative for the development of Specialized Orthopedic Solution’s — Prosthetic Division. Dimitri began in the industry at the age of seven while working in his father’s custom shoe fabrication facility, Valley Oaks Orthopedic. He gained insightful exposure to orthotic and prosthetic devices and their components. This childhood education eventually led him to graduate from CSU Dominguez Hills with a Bachelor degree in Health Science, Orthotics and Prosthetics. 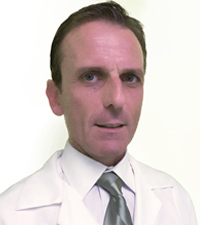 He is currently an ABC Certified Prosthetist and Orthotist at SOS Medical. As of May 2017, Crisheila joined SOS as Director of Physical Therapy. 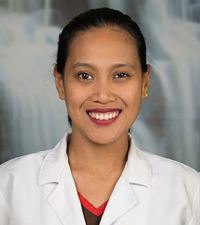 Crisheila Mangabat-Rutherford graduated with bachelors degree in physical therapy at Emilio Aguinaldo college-manila, Philippines and became a registered physical therapy in California in 2006. She began her work in the Philippine as a clinical instructor in pediatric setting. She has been a rehab director for many years in a skilled nursing facility. She has continued a professional career with a strong leadership skill with colleagues who enjoy working under her. she also has 11 years of experience in home health therapy. She is passionate in what she does. She is always highly recommended and loved by her patients. Crisheila also has specialized training in wound care. She is an APTA certified physical therapy instructor. She has mentored students and has seen them reach their goals as physical therapy assistants and is currently supervising students from different colleges and universities for hands on experience with patients in a skilled nursing environment. Her hobbies are sewing, beading, jewelry making, and gardening. She enjoys traveling, site seeing museums, gardens, and national parks, and hiking. Crisheila is a devoted wife, a mother of three who still finds time to cook and share a family movie at the end of her work day.